A day after confirming that their new album The Now Now would arrive next month, Gorillaz have now shared further details behind the release. Set to arrive June 29 through Parolophone/Warner, The Now Now runs 11 tracks in length and features guest appearances from George Benson, Jamie Principle and Snoop Dogg. That's the album cover above, while you can check out the tracklist below. Gorillaz previously teased the Doggfather's involvement with a live performance of "Hollywood," while the Benson-assisted "Humility" can be heard through watching the song's official video below. Gorillaz have also shared the new song "Lake Zurich," which can be found below as well. Today the group's Damon Albarn discussed what's to come from the disc on Beats 1 radio with host Zane Lowe, revealing The Now Now was produced by Simian Mobile Disco's James Ford, along with Remi Kabaka, and recorded entirely at London's Studio 13 in February this year. Albarn noted that some recent work with Mike WiLL Made-It did not make the album, telling Lowe that the in-demand Atlanta producer has "the loudest studio in the world." You can hear their chat below. 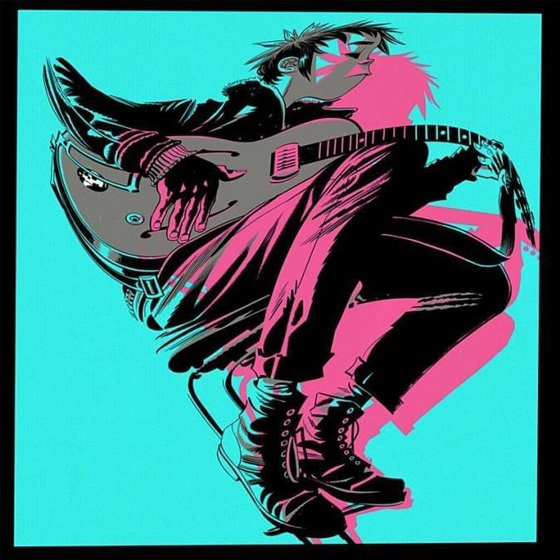 Following a series of tour dates overseas, Gorillaz have also mapped out a brief North American tour behind The Now Now. The trek will open with a pair of stops in Canada, with Gorillaz playing Toronto's Air Canada Centre on October 8 before playing Montreal's Bell Centre the following evening on October 9. Scroll past the tracklist for The Now Now to find a tour itinerary below.